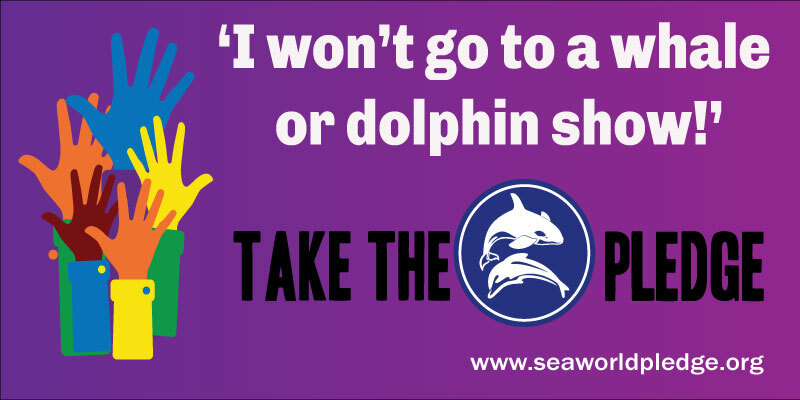 I won't go to a whale or dolphin show! 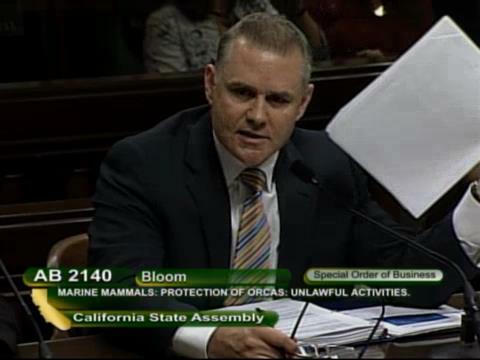 On the heels of AB 2140, arrogantly and disrespectfully deemed the “Silly Bill” by Scott Wetch being moved to a study group from the committee hearing, I spoke to Dr. Naomi Rose and former SeaWorld orca trainer John Hargrove regarding their reactions to the move. 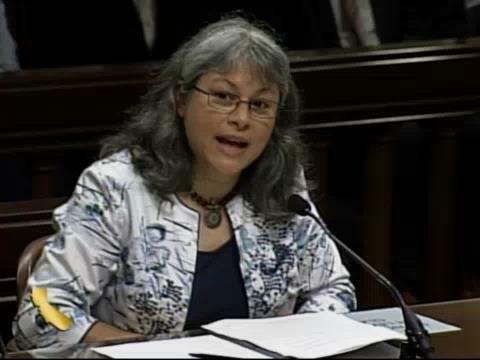 Dr. Rose emphasized that the move was a common step in the legislative process for a bill that was highly controversial and had the potential to have economic impact. She also said that based on the wholehearted support of the committee chair, it was clear that he was committed to seeing this bill through to the house floor. Dr. Rose went on to say that this process was NOT initiated based on “No” votes, but in fact was a request for more information by those that may have been swing votes. The benefit of the study group which will be spearheaded by a non-partisan staffer, is that all lawmakers will be able to demonstrate due diligence in their research regarding the issues under consideration. While SeaWorld wishes to continue to state that supporters are basing their opinion solely on the Blackfish movie, the lawmakers will base their votes on the preponderance of the evidence based on testimony, science and discovery. As Dr. Rose said, SeaWorld will be forced to participate in the dialogue and provide actual supporting science to back up their claims instead of hiding behind scripts and general statements. The timing of the interim study has been incorrectly reported by a number of journalists. The project will have a 6 month deadline for collaboration and collection of testimony. This 6 month process will be bench-marked by meetings, hearings and the opportunity for comment. Each of these steps can be, and should be, supported by advocates of the bill. John Hargrove was also optimistic and supportive of the move. He stated that he welcomed the opportunity for a longer format discovery process which would allow him to present testimony and supporting documents that as of now had not been revealed. He also feels that compelling SeaWorld to answer direct questions regarding the details of the many issues will force them to into a candid debate apart from their scripted answers. Based on the hearing testimony yesterday, we can all see how uncomfortable that situation is for their spokespersons. Despite SeaWorld supporters, bloggers and employees stating that the bill was ‘dead’, ‘faltered’ ‘stalled’ ‘tabled’, or otherwise, this is a legislative procedure that is a normal course of action. Unfortunately the rhetoric and spin of opponents to the Bill only highlights a lack of understanding of the civic process and parliamentary procedure. No Surprise. Supporters of AB 2140 now have a new period to gather evidence addressing the concerns of law makers in opposition to the bill on its face and with its current language. 94 supporters from California and as far away as Rome lined up to plead with lawmakers to support this bill. That support must not waver. The study period will allow a greater flexibility in the types of formats for presentation of evidence. In a long form hearing more time is given to present evidence and presentations can be made using multimedia to present the facts. Issues such as safety record, separation of cow and calf, and physical impact on the whales can all be discussed in length with supporting documents and testimony. These work groups will allow a more detailed look at the issues surrounding captivity and provide the opportunity to present a deeper, more compelling argument. A consortium of representatives from conservancy organizations will have a chance to lend expert testimony as to survival rates and life span of wild populations. A group of scientists can present documents that highlight the work being done in the oceans, which is not precipitated on captivity for study. Advocacy groups will have time to coordinate together and devise strategy to communicate the message throughout California. 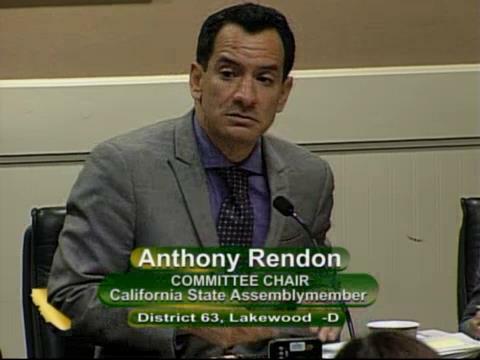 In short, this period if acted on appropriately it can only strengthen the case for AB 2140 and garner even more support from California voters and lawmakers. This is an idea whose time has come. SeaWorld admissions were down a half million visitors in the first Quarter of 2014. Despite their public denial, they continue to launch new campaigns such as the ‘Truth Team” and released a new document of “69 Reasons” disputing the Blackfish movie. This is a telltale and powerful indication that they are deeply concerned about admissions, and are feeling the pain of fewer visitors to their parks in lost revenue. Funding for the 50th anniversary events was cut to divert to Public Relations to fight their sinking public image. 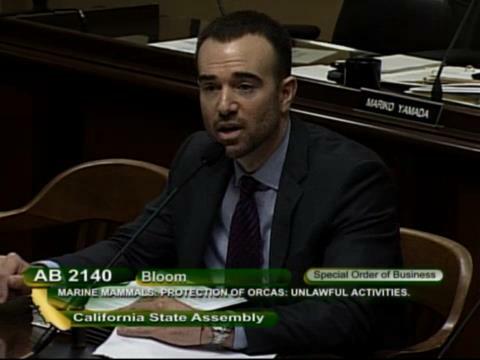 Employees and SeaWorld supporters are taking to Instagram, Facebook, and Twitter to rally support and attack advocates of AB 2140. SeaWorld set up a form letter for opponents of the bill to share on social media. Despite what they SAY, their actions show that they are panicked. SeaWorld is aggressively attempting marketing to potential investors to purchase the remaining 500 million dollars of Blackstone stock. They do not have the cash reserves to buy the stock, and their debt-to-income ratio does not allow them to go further in debt to borrow the money. The fate of their viability as a company is very near a fiscal cliff. 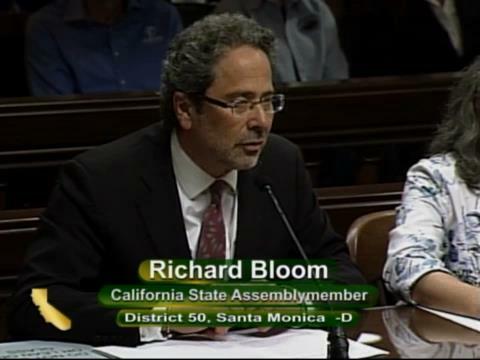 Now that AB 2140 will have no immediate resolution, potential investors can see a ‘noose swinging’ over their stock purchase. Continuing to spread public awareness as to the plight of the whales in captivity is the most powerful action that advocates can take. Influencing one family at a time to look at the issue before adding SeaWorld to vacation plans can have a huge sweeping effect. If you lead a conservancy group of advocates on Social Media or offline, contact us to learn how you can join a think-tank for collective sharing of strategy and action items to collaborate among groups. Contact us to find out how you can sponsor an education effort in your middle school or high school using our resources. Most importantly, stay in the fight. Despite the rhetoric, falsehoods, and spin from SeaWorld supporters; you are winning the battle of public opinion. Sharing this post ensures that supporters rally and remain vigilant in their resolve to end Marine Mammals in captivity. Kshamenk – Not what we thought, something Bigger. Travel and Tourism promote Swim With the Dolphins programs - But should you?